+ + + Sign of the Crossing + + + pro-life and pro-immigrant: What a great man Peter Kreeft is! What a great man Peter Kreeft is! I didn't brag properly. Whassamatterwime?? I'm not saying Kreeft is a brilliant man just because he said this about my book. But take a look! "Rarely has a book suddenly and decisively changed my mind on an important religious or moral issue. This one did. 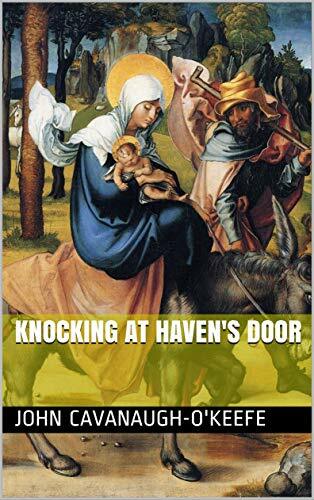 I was uncertain and “on the fence” regarding immigration, with almost equal sympathy for both “sides.” No Catholic faithful to the Church and no Christian faithful to Bible can be “on the fence” any more after reading this book. It is clear, compelling, and decisive. Yet it is reasonable, nuanced, scholarly, factual, informed, and wide-ranging. It appeals to principles and facts, not feelings, ideologies, or political partisanship. It is equally far from the “Right” and the “Left,” from fundamentalistic fanaticism and romantic naivete. For it is Catholic." He's talking about a short book, an hour's read, that's supposed to pop your eyes open. I promise that if you read this attentively -- one hour! -- I'll re-arrange the way you think about some things.